A big selling point for a career change to tech is the short amount of time it takes to get up to speed with tech skills and become job-ready. Unlike industries that require a degree you might not already have (and that you’d have to spend years in school and thousands of dollars in student debt to get), tech jobs are skill-based—knowing how to do the job and achieve results is what matters. 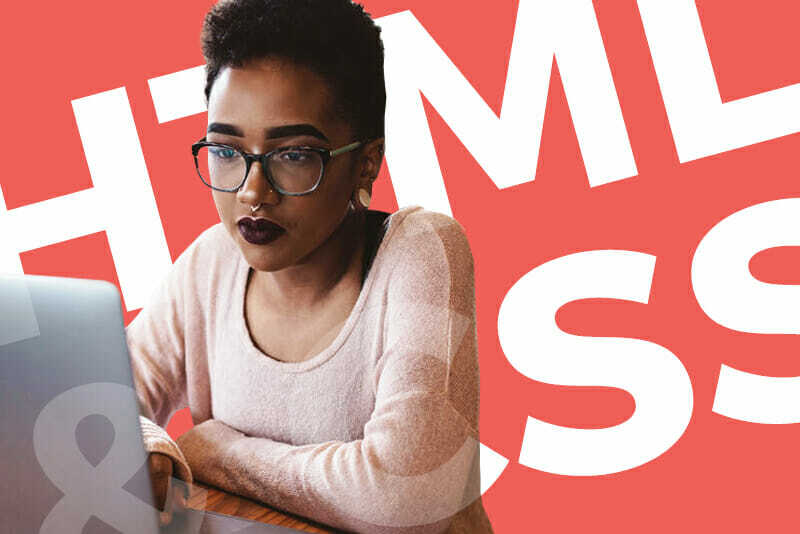 To give you a concrete example of how quick it can be to learn tech skills, one of the most fundamental tools for making websites—HTML, a markup language used for defining the parts of a webpage—can literally be learned in a matter of weeks. 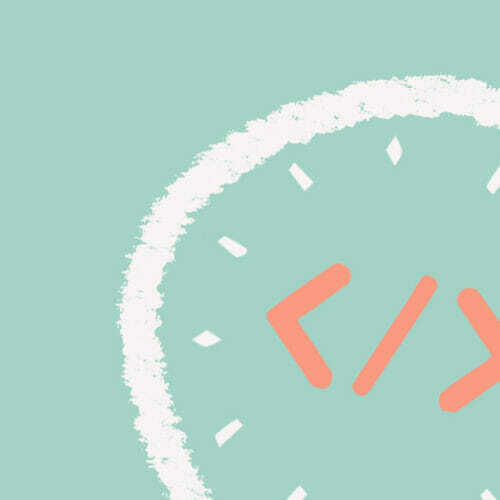 Of course there are more skills to learn on top of HTML, but here’s the thing—you can start making money in tech with nothing more than those basic HTML skills and some knowledge of HTML’s cousin language CSS (used to add style elements like colors, font type, and page formatting to HTML’s page definitions). 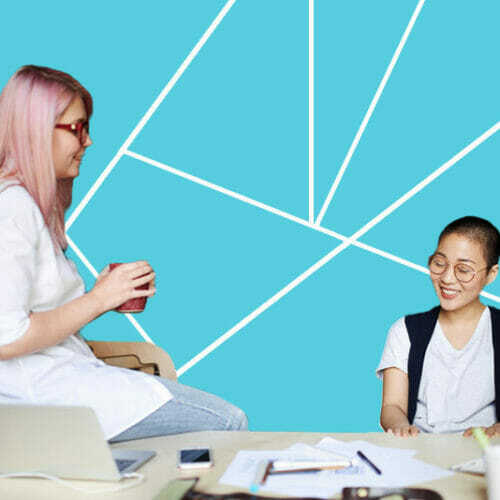 Just by picking up HTML and CSS fundamentals you’ll be opening the door to a number of remote-friendly freelance opportunities, part-time jobs, and possibly even a full-time job, all of which will pay you for what you already know while providing valuable on-the-job training and work experience. 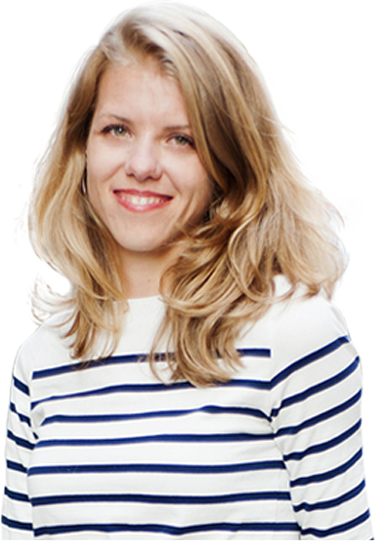 To give you some examples of the kind of positions HTML-versed job seekers can start looking for, our CEO Adda Birnir put together a list nine jobs you can get once you learn HTML. Because tech job skills are so practical, diving in and getting your hands dirty is really the best way to learn—nothing will teach you how to code better than doing it yourself. At the same time, tech skills are also so practical that people will be willing to pay you for your hands-on learning efforts. A great way to break in to paid work is to offer your services to a client who needs a personal website. Whether it’s a friend, a family member, or a professional acquaintance you’ve made through networking, start putting your feelers out for people who could use a basic personal website, then offer to build a website for a reasonable fee using your HTML and CSS skills. It’s a win-win for everyone involved—the client gets a website, and you get work experience and a paycheck. 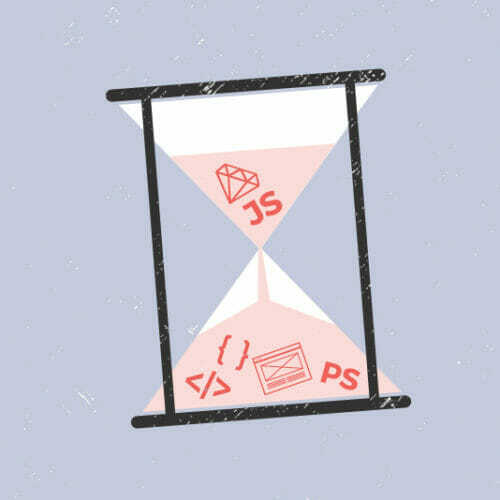 While HTML and CSS skills can land you job opportunities building personal websites, they can also make it possible for you to get paid customizing client’s blogs on platforms like Tumblr. Although Tumblr provides users with a number of stock themes out of the box, it’s possible to create custom themes with HTML that can address specific and unique client needs and help a client’s blog stand out from the cookie cutter pack. Yes, HTML is versatile enough to use for hand-coding websites while also allowing customization of popular blogging platforms (again, with a learning curve of only weeks), which goes to show what a critical skill it is to pick up. WordPress is a Content Management System (CMS)—a type of software application that lets you create, publish, and manage digital content online—but there are two different tiers of WordPress platforms. WordPress.org is a software platform that needs to be downloaded and installed on a web server and requires a certain amount of technical and coding know-how to use properly. WordPress.com, however, is a blog hosting platform that can be used with zero tech or coding skills. People who use WordPress.com without knowing how to code are limited to using the stock templates that come with the platform—and while that’s fine for many uses, if you want to tweak or customize any of them, you have to use HTML and CSS. And so, if you’re not ready to take on a job as a full-blown WordPress developer yet (using WordPress.org), you can find a client who wants to give their WordPress.com blog a custom makeover and make it happen with the HTML and CSS you’ve learned so far. According to inbound marketing giant HubSpot, emails continue to be a critical part of marketing campaigns. With 86 percent of professionals prefering to use email to communicate for business purposes, and Google’s email service Gmail topping 1 billion users worldwide, emails reach a lot of people—but that means any email marketing campaign that’s going to stand out from the pack is going to need a customized email template. Yes, email customization is another HTML/CSS sideline where you can start getting paid while you’re tech skills are still coming together. Email marketing services like MailChimp offer stock email templates, but they also allow a wide range of customization options if you have HTML and CSS skills. It doesn’t take more than some basic markup know-how to create templates that can get you paid, either through freelance gig work, or as a raise-worthy duty at your full-time job. Much like building personal websites for clients you know, a good way to get your foot in the door as webmaster while you’re still learning tech skills is to look for opportunities at small local businesses or nonprofits. Smaller businesses with less intensive web needs will be more likely to hire tech beginners (particularly if you’re not asking to start at the top of the payscale), meaning you can get paid while getting critical resume work experience. If you’re transitioning from a professional career where you had project management experience and you know your way around HTML and CSS, you can try to put all of those skills together and get a job as a website producer. Website producers oversee the web development project, but don’t necessarily have their hands in every aspect of the coding process. Different than web development itself, web production job duties involve editing, arranging, and creating the content that goes on a website. Producers are also responsible for optimizing that content for users and search engines, in order to drive traffic the company website. While the more tech skills you have, the more versatile you’ll be as a producer (particularly if you are skilled in search engine optimization), if you can make up the deficit with management and content creation experience, HTML and CSS can be enough to get you in the door. Once you’re in, you’ll be in prime position to build up additional tech skills and learn about every step of the web development process. Another tech role focused on driving traffic to company websites and online social media accounts is social media manager. Social media managers’ job duties focus on developing relevant content ideas that will resonate with a company’s customer base and generate online traffic, mentions, and viral brand interest. If you’re already social media savvy—either through work experience at a previous job or your own personal adventures—you can add that know-how to your burgeoning HTML and CSS skills and present an irresistibly hireable package to potential employers. Pulling together some of the individual ideas listed above, your ability to create custom email templates and to customize Tumblr and WordPress content using HTML and CSS can virally market yourself into a dream job. 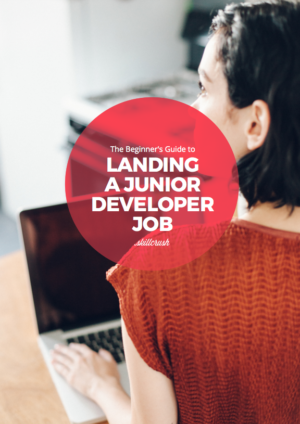 While HTML and CSS might not seem like enough to make it as a developer, it can definitely be enough to get you started—that’s what junior web developer positions are for. At large tech companies where developer teams are big enough to differentiate by skill and experience level, it’s possible to land an entry-level junior developer job even if all you know is HTML and CSS. Using those skills to do basic legwork on the front lines, you can learn from developers above you in the pecking order while collecting a tech paycheck. Quality assurance engineers’ job duties involve creating tests that are used to find any problems (or bugs) before software, websites, or applications are launched. Where QA engineer jobs shine as an entry point into tech is that they don’t require heavy coding skills—you won’t actually build anything yourself, but you WILL get a very deep understanding of how sites are built, and work side by side helping site’s developers to debug issues that come up in the code. HTML and CSS won’t be critical parts of a QA Engineer job, but they will help with your understanding of the development process (as will any experience you can get ahead of time with SQL databases and web testing procedures). After study a handful of the web sites on your own site now, and i really much like your strategy for blogging. I bookmarked it to my bookmark website list and will also be checking back soon. Pls have a look at my web page likewise and let me know what you consider. Very nice style and design and wonderful content material , practically nothing else we need : D.
This website is known as a walk-through for all the information you wanted about this and didn’t know who to ask. Glimpse here, and you’ll definitely uncover it. The very next time I read a blog, Hopefully it won’t disappoint me just as much as this particular one. I mean, I know it was my choice to read, however I really believed you would have something useful to say. All I hear is a bunch of whining about something you could possibly fix if you were not too busy seeking attention. Great information you have shared. I furthermore found similar blog like yours which was amazing. Have a look at it if possible. Para la solicitud de devolución, envía un mensaje a info@ con tu nombre y número de reserva, además de una prueba del precio más bajo (recibo, lista de precios, folleto, dirección web, captura de pantalla de la web, etc.). Las devoluciones de la diferencia de precios se procesarán en la tarjeta de crédito usada para la reserva original. Si cancelas con más de 7 días antes de comenzar la actividad reservada (hora local de Madrid), se te devolverá el 100 del importe abonado. Elige la actividad que prefieras, rellena los datos que solicitamos para tu reserva y recibe una confirmación en tu email con el bono de la actividad. Disponemos de servicio de atención al público durante las 24 horas del día y en cualquier punto de Madrid. Lo cual me hace aconsejar a la gente que llame y pregunte antes de enviar los terminales a dicho servicio tecnico y asi podreis prebeerlo y buscar con mas tiempo un telefono de sustitucion, espero recibirla en buen estado. El problema, Gnomo, esque este post es muy, muy general y hay gente escribiendo por muchiiiisimas razones,(pantallas rotas incluidas) pero si te vas al origen y los primeros post verás que nos referimos a los fallos de placa base en la p3300. You are so interesting! I do not suppose I have read anything like that before. So nice to find someone with genuine thoughts on this subject. Seriously.. thank you for starting this up. This site is one thing that is required on the internet, someone with some originality! Aw, this was a very nice post. In thought I wish to put in writing like this moreover – taking time and precise effort to make a very good article… but what can I say… I procrastinate alot and in no way appear to get one thing done. After I originally left a comment I seem to have clicked the -Notify me when new comments are added- checkbox and now whenever a comment is added I recieve 4 emails with the exact same comment. Perhaps there is an easy method you are able to remove me from that service? Thanks a lot! One thing I’d prefer to say is the fact before purchasing more personal computer memory, look into the machine into which it could well be installed. In case the machine is actually running Windows XP, for instance, a memory threshold is 3.25GB. Putting in more than this would easily constitute a new waste. Make sure that one’s motherboard can handle your upgrade volume, as well. Thanks for your blog post. Thanks so much for providing individuals with an extremely superb opportunity to discover important secrets from this web site. It can be so fantastic and full of a good time for me and my office co-workers to search the blog really 3 times in 7 days to find out the new tips you will have. And lastly, I’m also at all times pleased with your surprising tips and hints served by you. Selected 3 ideas in this posting are absolutely the most suitable we have ever had. I have been surfing on-line greater than three hours lately, but I by no means found any attention-grabbing article like yours. It is lovely price sufficient for me. In my view, if all webmasters and bloggers made good content as you did, the web will likely be much more useful than ever before. Always looking for great new jobs How do I know if its not enough to charge ? One thing I’d really like to say is before acquiring more laptop or computer memory, look at the machine directly into which it could be installed. In case the machine is definitely running Windows XP, for instance, the particular memory limit is 3.25GB. The installation of greater than this would just constitute a waste. Make sure one’s mother board can handle your upgrade volume, as well. Good blog post. One thing I’d like to say is before obtaining more laptop or computer memory, check out the machine directly into which it could well be installed. Should the machine can be running Windows XP, for instance, the memory threshold is 3.25GB. Putting in over this would basically constitute just a waste. Make sure one’s mother board can handle the particular upgrade volume, as well. Great blog post. Usually I don’t learn post on blogs, but I wish to say that this write-up very forced me to check out and do so! Your writing taste has been surprised me. Thank you, very nice article. Informamos que no atendemos averías de aparatos en periodo de garantía, no somos servicio técnico oficial Siemens en Benicasim, sino que ofrecemos nuestros servicios para su reparación. En el Servicio Técnico Siemens en Menorca recomendamos que ante una vería de su aparato actúe con cautela, ya que puede empeorar el estado de este y encarecer la reparación. hi!,I like your writing very much! share we communicate extra approximately your post on AOL? I need an expert in this area to solve my problem. May be that’s you! Having a look forward to look you. Great awesome things here. I¡¦m very happy to see your post. Thanks a lot and i am taking a look ahead to contact you. Will you kindly drop me a e-mail? Hello there. I discovered your blog by means of Google even as searching for a related matter, your website got here up. It appears to be good. I’ve bookmarked it in my google bookmarks to visit then. Wow! This can be one particular of the most useful blogs We have ever arrive across on this subject. Basically Great. I am also an expert in this topic therefore I can understand your hard work. Hi, just came across this website. Its a fantastic illustration of how small to medium sized businesses can use Awards based advertising to get their companies recognised on the 1st page of Google. Awards programmes offer many benefits to winners. After all they bring exposure and you can share the news of your win with your employees, clients, industry peers and target market as much as you like. Additonally awards offer prestige and status, giving potential customers peace of mind that they are working with a reputable company. There are many types of awards programmes, including those that host awards ceremonies (and you pay per table), organisations that award only their members (and you pay for membership and sponsorship) and those that provide marketing materials. The latter is a great way for those who are unsure about the benefits of using corporate awards programmes because generally nominees and winners do not have to pay a penny to be considered. Winners often receives online recognition, usually with a reach much greater than their own marketing efforts can offer. Other free benefits can include the use of an press release. Most participants have the option to purchase additional marketing materials to further utilise their win, if they wish to, for use in social media campaigns, on their own website, email marketing campaigns or in customer newsletters. This is a topic that’s near to my heart… Best wishes! Where can I find the contact details for questions? It is in reality a great and useful piece of info. I’m satisfied that you simply shared this helpful info with us. Please keep us informed like this. Thank you for sharing. Bosch, Fagor, Balay, Samsung, Miele, Liebherr, Edesa, Teka, Zanussi, Aeg, Philips, Saunier, Duval, Electrolux, Lg, Whirlpool, Otsein, General electric, Corbero, Aspes, Ariston, Indesit, Westinghouse, Junkers, Vaillant. Asistencia y desplazamiento gratuitos a todo Tenerife; Santa Cruz de Tenerife, Arona, Canarias, San Cristóbal de La Laguna, Adeje, Canarias, San Isidro. Técnicos especialistas en mantenimiento y reparaciones de electrodomésticos todas las marcas. Para poder ofrecer un servicio integral y plenamente satisfactorio, ELECTROMELO dispone de técnicos cualificados. Su filosofía de trabajo es el trato personalizado y a medida para cada cliente; tanto en los servicios como en los productos. Instalaciones y reparacion de aire acondicionado, heladeras, freezer, camaras todo lo relacionado a la refrigeracion y calefacción. Ubicado en la Ciudad de Mexico y especializados en la marca MITSUBISHI ELECTRIC. hello!,I like your writing very a lot! share we keep up a correspondence more about your article on AOL? I require an expert in this house to resolve my problem. Maybe that is you! Having a look forward to peer you. I own an older Honeywell Lynx Touch wireless alarm system and I’ve been researching this area for around two weeks now and this is the first page that truly is practical. Why is it really hard to access reasonable information on the topic of security and safety today? Absolutely understand the time you invested putting your concepts into words so rookies such as me personally can take action. Could there be a part 2 on your post? Thank you again! I nearly by no means put up remarks on blogs, but I like to say I appreciate looking through this weblog. Normal I weblog about senior dating 70 plus. I am positive I have understand much more about how to compose a site publish, by looking through your weblog!! Hey very nice site!! Man .. Excellent .. Amazing .. I will bookmark your web site and take the feeds also…I am happy to find a lot of useful info here in the post, we need work out more techniques in this regard, thanks for sharing. . . . . .
Hello would you mind lettingme know which web host you’re working with? I’ve loaded your blog in 3 different web browsers and I must say this blog loads a lot faster then most. Hello there, You’ve done a great job. I’ll definitely digg it and individually recommend to my friends. I am sure they’ll be benefited from this website. A grid will help you to structure the layout of the different sections; it will guide you through the specific screen size requirements, and help you to create responsive templates, so you’re consistent in terms of spacing as well as many other design issues. LOS MENORES ABONAN A PARTIR DE LOS 2(DOS) AÑOS CUMPLIDOS LAS ENTRADAS SON SIN NUMERAR SINOPSIS Nueva versión del clásico cuento, donde Cenicienta recibe órdenes de su madrastra y hermanastras. El Parador de Valeria”, con música original del Maestro Carlos Gianni, quien apuesta nuevamente a que niños y adolescentes sean los protagonistas de una historia que los representa y atraviesa, generando una gran alegría y expectativa en la familia de la comedia musical. Este espectáculo está protagonizado por Tutuli Tatito, un títere que vive en un libro de tela. Fue fundada por Robert Bosch, uno de los pioneros del desarrollo industrial y su finalidad es orientar la técnica de los productos a las necesidades habituales de las personas. La atención y Servicio que le prestamos a nuestros clientes siempre va enfocada de la manera mas clara y concisa, desde su primera llamada podrá saber nuestras tarifas y el precio aproximado de su reparación. Servicio Técnico de Reparación de Electrodomésticos Reparantia le garantiza que no tendrá sorpresas en su factura, trabajamos con presupuestos cerrados y sin ningún tipo de coste adicional por desplazamiento. These steps cover not only design aspects but also general workflow tips that will get the job done nicely. Los profesionales del sector deben adaptarse al CTE y al nuevo RITE y encontrarán en este manual todo lo necesario para el diseño, instalación y mantenimiento de los sistemas de calefacción y agua caliente sanitaria ACS. Adaptada al Código Técnico de la Edificación (CTE) y al nuevo RITE (haga click sobre el título del libro subrayado para ver todo el índice del libro) Autor: José María Fernández Salgado. El Código Técnico de la Edificación (CTE) exige que los nuevos edificios dispongan de instalaciones térmicas solares para la producción de energía limpia. With organizations like the International Marine Animal Trainers’ Association ( IMATA ), it can help provide a network for members to find jobs and internships in fields like marine mammal training, zoology, ecology, zoo keeping and animal behavior. I like this website very much, Its a real nice post to read and receive information. Do you guys have a course on HTML email development? I would like to thank you for the efforts you have put in writing this site. I’m hoping the same high-grade site post from you in the upcoming as well. Actually your creative writing skills has inspired me to get my own site now. Really the blogging is spreading its wings quickly. Your write up is a good example of it. Is that social media managent or regular management? Marketing & management use social media so is there a real difference btwn social media marketing/management & ref marketing/mangagment? Hii I have good knowledge of html5, css3, angularjs and bootstrap. 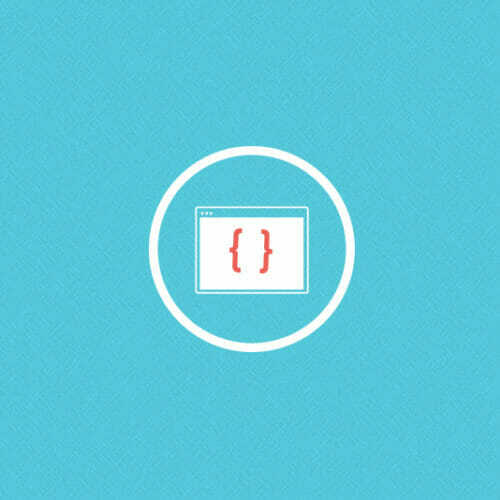 I am on the self-taught path to learn html & css. Gives me guidance. I am 41 years old now & don’t have any job right now. how i earn money in css? You can earn money by puting css into file for a business or any company website.. I means becoming web developer.